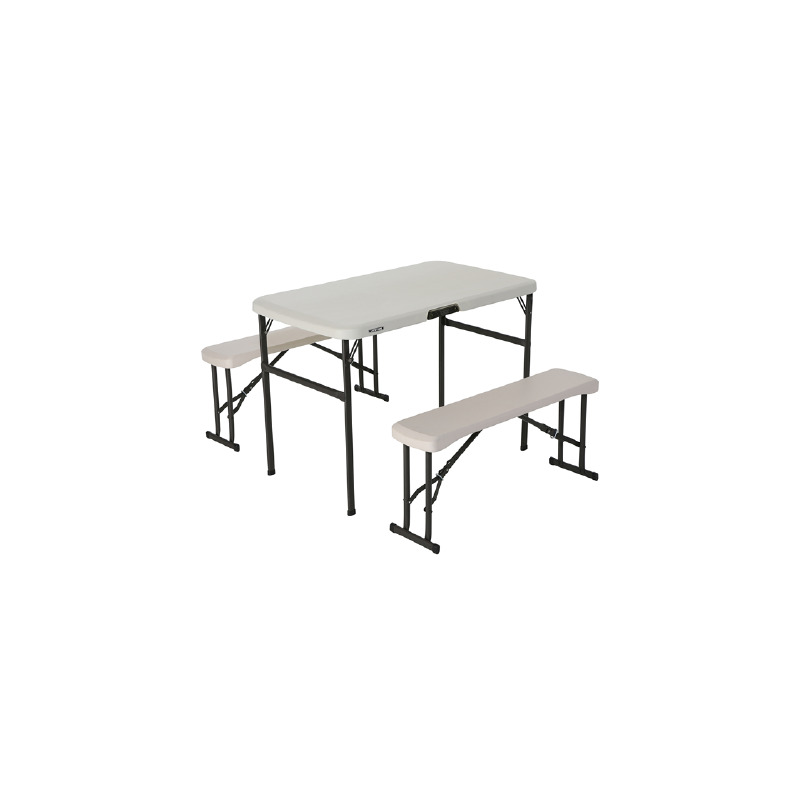 A set of folding table and two benches. 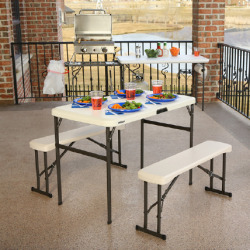 Combination of steel frame and UV-resistant polyethylene (HDPE). Weatherproof. Plastic will neither yellow in the sun nor crumble. 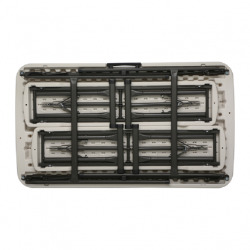 The materials provide excellent cleaning capabilities. 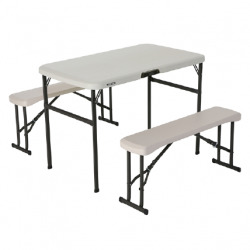 The table and benches are easy to assemble. It is possible to attach the benches to the bottom of the table.